Google Glass (stylized simply as GLASS) is an augmented reality wearable computer with a head-mounted display (HMD) that is being developed by Google in the Project Glass research and development project. It takes a step further toward ubiquitous computing, which is the idea that the Internet and computers will be accessible anywhere at any time without having to use one’s hands. Google Glass displays information in a smartphone-like format hands-free, can interact with the Internet via natural language voice commands, and uses Google’s Android operating system. While the frames of Google Glasses do not currently have lenses fitted to them, Google is considering partnering with sunglass retailers such as Ray-Ban or Warby Parker, and may also open retail stores to allow customers to try on the device. Google Glass is being developed by Google X Lab, which has worked on other futuristic technologies such as driverless cars. The project was announced on Google+ by Project Glass lead Babak Parviz, an electrical engineer who has also worked on putting displays into contact lenses; Steve Lee, a project manager and “geolocation specialist”; and Sebastian Thrun, who developed Udacity as well as worked on the self-driving car project. Google has patented the design of Project Google Glass. Thad Starner is a Technical/Lead Manager on the project. Isabelle Olsson, Industrial Designer of the product, is responsible for a number of the design decisions, such as the Google Glass color scheme. Though head-worn displays for augmented reality are not a new idea, the project Google GLASS has drawn media attention primarily due to its backing by Google, as well as the prototype design, which is smaller and slimmer than previous designs for head-mounted displays. The first Google Glass demo resembles a pair of normal eyeglasses where the lens is replaced by a head-up display. Around August 2011, a Google Glass prototype weighed 8 pounds; the device is now lighter than the average pair of sunglasses. In the future, new designs may allow integration of the display into people’s normal eyewear. According to several Google employees, the Glass was originally predicted to be available to the public for “around the cost of current smartphones” by the end of 2012, but other reports stated that the Glass was not expected to be available for purchase by then. The Explorer Edition is available to testers and Google I/O developers in the United States for $1,500, to be delivered in early 2013, while a consumer version will be available by the end of 2013 for “significantly less” than the Explorer Edition. The product began testing in April 2012. 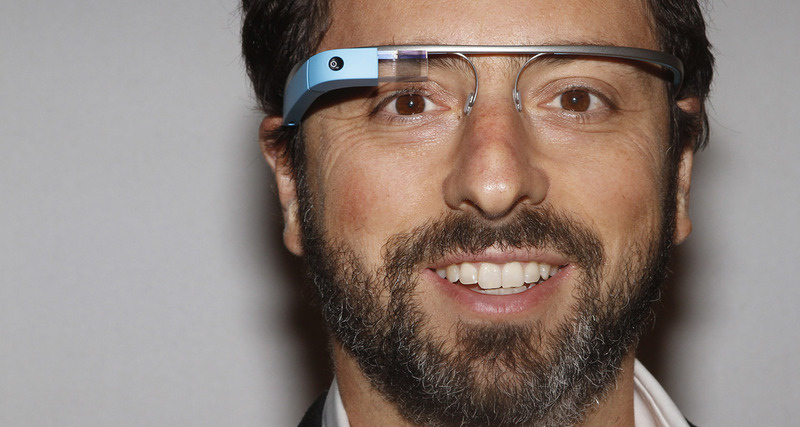 Sergey Brin wore a prototype of the Glass to an April 5, 2012 Foundation Fighting Blindness event in San Francisco. In May 2012, Glass was demoed in the first test video shot with the eyewear, demoing the 720p HD first-person video recording capabilities of the augmented reality display. Sergey Brin demoed the Glass on The Gavin Newsom Show, and California Lieutenant Governor Gavin Newsom also wore the Glass. On June 27, 2012, he also demoed the Glass at Google I/O where skydivers, abseilers, and mountain bikers wore the Glass and live streamed their point of view to a Google+ Hangout, which was also shown live at the Google I/O presentation. In February 2013, Google released a demo video showcasing the voice-augmented display of the Glass filming various experiences in first-person. An early adopter program named the Google Glass Explorer program is available for developers and consumers to test Google Glass, and it will also gauge how people will want to use Glass. Entry into the Glass Explorer program was made available to the general public on February 20, 2013, and ended on February 27th, 2013. The program stated that it was looking for “bold, creative individuals” who wanted to test the device. Those who wanted to apply were required to post a message on Google+ or Twitter consisting of 50 words or less, featuring the hashtag #ifihadglass. 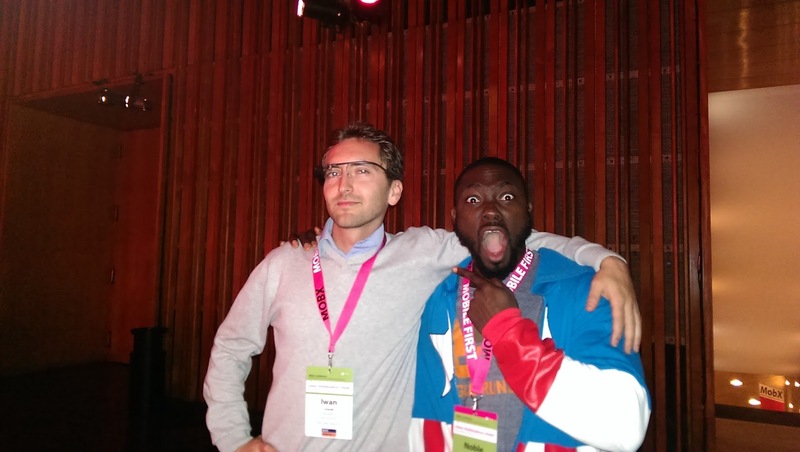 Those who were selected must attend a Google Glass event in either New York, San Francisco, or Los Angeles to pick up the device. The Explorer edition receives data through Wi-Fi, or it can tether via Bluetooth to an Android device or iPhone and use its 3G or 4G data; the Glass also has a GPS chip. The Explorer edition is available in Charcoal, Tangerine, Shale, Cotton, and Sky colors. Users issue voice commands by first saying “ok glass”, then the command, or they can scroll through the options using a finger along the side of the device. The Explorer edition has an interchangeable sunglasses accessory which twists on or off easily. Monthly updates to the Google Glass are planned after the program starts. One apparent test subject put Glass up for auction on eBay in advance of receiving the hardware. Bidding had reached US $16,000 for the $1,500 device before it was removed because the seller couldn’t prove possession.